As America renews restrictions to its Cuba policy, a new documentary from Pulitzer prize-winning journalist and director Tim Golden, director Ross McDonnell, and producer Trevor Birney, explores a pivotal moment in that relationship: the international custody battle and cultural fallout following the 1999 sea rescue of five-year-old Elián González. ELIÁN, will premiere in simulcast on CNN/U.S. and CNN en Español Thursday, Aug. 24 at 10:00pm, with limited commercial interruption. 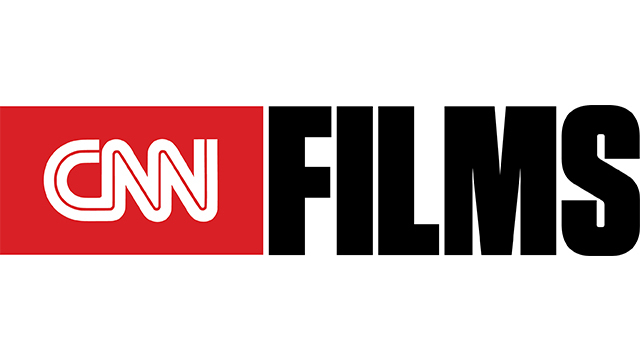 The two-hour CNN Film will encore Friday, Aug. 25 on CNN/U.S. at 2:00am, with limited commercial interruption, and will air again Saturday, Aug. 26 at 10:00pm and Sunday, Aug. 27 at 2:00am on CNN/U.S.. All times Eastern. ELIÁN is narrated by Tony Award®-nominated actor Raúl Esparza. “At a moment when Americans are once again debating the country’s relationship with Cuba, Elián’s story is a powerful reminder of how ordinary Cubans in both countries have so often been trampled in the geopolitical battles between Washington and Havana,” Golden said. In a series of exclusive interviews for the film, Elián González, now 23 years old, eloquently details harrowing memories of his rescue from the Florida Straits and the unrelenting media circus that surrounded his days in America. He also describes his hopes for reconciliation between the Cuban and American people, and more specifically for his own divided family. Elián’s father, Juan Miguel González, and his American cousin, Marisleysis González, speaking in separate exclusive interviews, talk through their emotions as the legal battle and the family drama unfolded. “This timely story is expertly revealed, in all of its necessary complexity, by Tim, Ross, and Trevor,” said Amy Entelis, executive vice president for talent and content development for CNN Worldwide. “The film lays bare both the emotional family tensions of the custody battle over young Elián González, and the overlying ideological struggle between nations that shadowed every extraordinary event between Elián’s rescue and return to his father,” Entelis said. The volatile history of the relationship between Cuba and the United States is explained through a mix of archival footage and interviews, illustrating how the tensions within the Cold War relationship, in part, mirror those within Elián’s family. Some members of Elián’s family fled to America after turning against the Castro regime. At least one great uncle was jailed as a political prisoner. Other members of the family stayed on the island and remain loyal revolutionaries. Also through archival news footage, viewers can see how the obsessive television and newspaper coverage documented each new turn in the human drama. The film shows Elián learning to hit a baseball in the backyard of his Miami relatives and blowing out candles on his birthday. Even Elián’s first day at school in Florida was a televised event. The film shows Fidel Castro declaring Elián’s delayed return unacceptable and sending Cubans to the streets in massive demonstrations televised in Cuba and the U.S.. Cuban-Americans in Miami countered with demonstrations and appeals of their own. And, Cubans and Americans watched the send-offs for Elián’s grandmothers, and later for his father, as they traveled to America to bring Elián home. ELIÁN also reveals dramatic, behind-the-scenes details of the raid and custody enforcement action, training a critical lens on all involved, including the U.S. Immigration and Nationalization Service and Department of Justice. And, the film includes a prediction from Donald Trump discussing his thoughts about the controversy, Cuba, Castro, and his own political future. In addition to the telecasts, ELIÁN will also stream live for subscribers via CNNgo on Aug. 24 (at www.CNN.com/go and via CNNgo apps for AppleTV, Roku, Amazon Fire, and Samsung TV) and on the CNN mobile apps for iOS and Android. The film will be available the day after the premiere (Friday, Aug. 25) on demand via cable/satellite systems, CNNgo platforms, and CNN mobile apps. ELIÁN is produced by Jigsaw Productions, Fine Point Films, and presented by CNN Films. The film is executive produced by Alex Gibney, Maiken Baird, Stacey Offman, Amy Entelis, Kate Townsend, Mary Callery, Andrew Reid, Greg Phillips, Jonathan Ford, Brendan J. Byrne, and Richard Perello. The supervising producer is Courtney Sexton.